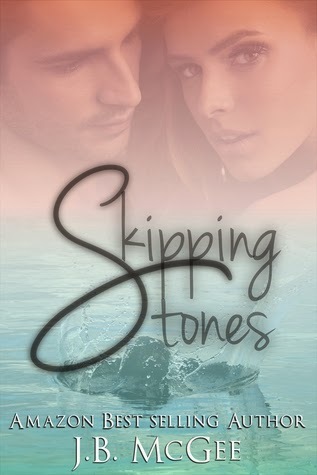 I had the pleasure of getting a copy of Skipping Stones in exchange for a review. I love books and love the chance to get to share things that i read. I will always express my honest opinions. I'm usually a Dean Koontz reader. I couldn't pass up reading something different when it was free. I usually find romantic novels to be a bit over sexual. In all honesty. it took me a bit to get into this book. Once i started reading I was enthralled with the story and I found it hard to stop reading. Skipping stones is a very emotional book. Alex Hart endures so much pain and heartaches. You go on a very emotional journey with Alex. One minor decision can have a huge impact in ur lives.